The last 365 days have been the craziest, most powerful, hardest, and yet all at the same time most unforgettable of my life. And since I’m 45 and have been through quite a bit, that’s saying something. A year ago today, I received a text from a friend of over twenty-five years sharing her most life altering news. And mine. She was pregnant and she wanted to come live with us during her pregnancy and she wanted us to adopt the baby. She was just eight weeks pregnant. Our immediate yes set the wheels in motion for the Year of Jubilee in our family and in hers. I considered myself somewhat of a writer before all of this started and thought that writing helped me process and energized me. I learned that for me, some things are beyond that and I simply didn’t have the mental energy or focus to write all that I was experiencing. Yes, I wrote some and shared some beautiful news and posts. For sure. But, overall, I was exhausted and emotionally spent. I loved loved loved having Sarah with us (if you’re reading this, my dear friend, please never doubt that) yet that doesn’t change the fact that I was homeschooling, mothering, homekeeping, preparing for a baby, then preparing for a baby with Down syndrome, summer camping, hosting, wife-ing, and more all while full time caring for a first time pregnant friend who was placing her baby forever. I wanted to and tried my hardest to give my best to her. To walk along side her, to encourage her, to push her a bit, to love her, and to give her anything and everything she might need or want. I was fully emotionally invested. And I was trying to do the same for myself. I can’t really even describe the depth of the difficulty in doing this. And the joy. So very often, I would think, “I need to write this. I need to take notes. I need to get this on paper. This is amazing.” But my body and brain couldn’t meet to gather the strength necessary to do it. It was all a bit surreal. Then, Jubilee arrived and her NICU and weight gain struggles occupied my days and mind. I feel like I finally exhaled at Thanksgiving. Her first two months were difficult, but beautiful. Just like our year. And her next three have been filled with finalization, family and friends. And me trying to find my new normal. And so through all of this, my blog floundered a bit. And I’m sorry. And I’m not. I am grateful for those of you who have persevered during my year of Jubilee and came here to pray and see if I wrote anything. Thank you for caring about me, my family, the birthmom, Sarah, and our Jubilee. Thank you for your patience and understanding. I am ready to write again and to engage. Thank you for your prayers, your pms, your emails, and more. I can’t explain what they have meant to me. 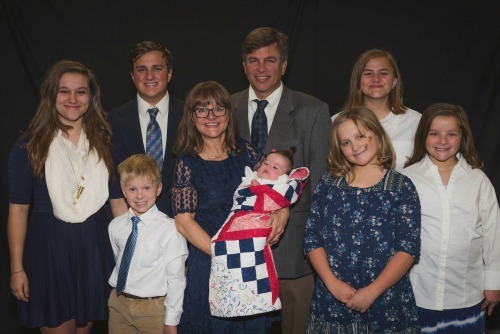 Our family is beautifully blessed and grateful for Jubilee and the Year of Jubilee and what that has meant the last 365 days, no matter the hard times. Truly. We love her. We love Sarah. We loved the first year of the journey. Let’s see where the Lord takes this blog, me, and all of you this next 365 days!